Monacelli's five-book series on SOM begin with three volumes reprinted from the original Verlag Gerd Hatje monographs. 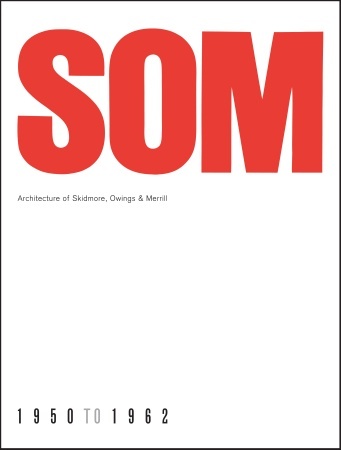 The Monacelli Press has announced publication of a five-volume monograph on SOM. According to the publisher, the five books offer a near complete history of the iconic firm’s work from the 1950s to the present. Each project featured is illustrated with archival and new photographs, as well as drawings, and each volume begins with an essay from such well-known architecture critics as Henry-Russell Hitchcock, Albert Bush Brown, and Kenneth Frampton. The first three volumes are reprints of editions published by Verlag Gerd Hatje in 1963, 1974, and 1984, though their layouts have been updated and their covers redesigned to create a consistent aesthetic with the two new volumes. The monographs go on sale in October, though they are currently available for pre-order on Random House’s website.